United Airlines may be the most hated company in the world right now. The airline botched its response to a United passenger who was dragged, bloodied and screaming, off the aircraft after he refused to give up his seat to commuting crew members. CEO Oscar Munoz had to apologize three times in the days that followed. But it's not just United. A number of companies have taken a public beating this past year. Samsung was turned into an internet meme after it issued a global recall for Galaxy Note 7 phones that caught fire. Wells Fargo remains tarnished for its fake accounts scandal. And Pepsi took a hit just last week when it was forced to pull an ad that appropriated images from the Black Lives Matter movement. What's the right thing to do when crisis hits? Experts walked CNNMoney through the common mistakes companies make when dealing with a meltdown. Distressed brands, take note. United (UAL) issued a statement Monday in which Munoz apologized for an "upsetting event" in which a customer was "re-accommodated." "The apology was awkwardly worded and not very authentic, and it didn't express or acknowledge any wrongdoing," said Nora Jacobs, a vice president at Hennes Communications, which specializes in crisis management. "We always counsel our clients to go out as quickly as possible, tell everyone how they're going to correct the situation and make sure it doesn't happen again." A company's initial statement on a crisis is incredibly important, said Bryan Reber, a professor at the University of Georgia who studies crisis communication. "Be the lead on the messaging," he said. "As evidenced in the United case, whatever the organization says first is what's going to be remembered and used against them." Tom Lee of the ad firm Agency 451, which specializes in crisis control, said that by the time United finally did issue a heartfelt apology, it was "too little, too late." "Everything that has to do with handling a crisis has to do with public perception," Lee said. "Now, anything the company says just seems disingenuous." A letter Munoz sent to employees Monday described Dao as "disruptive and belligerent" and claimed that law enforcement was "left with no choice" but to forcibly remove him. 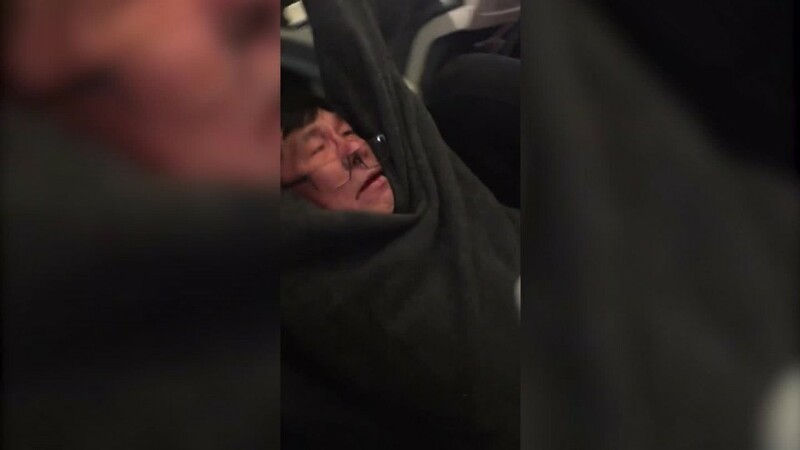 Video evidence would later dispute that Dao was acting aggressively. That, Jacobs said, was probably United's biggest slip-up. "Blaming the victims is not what we would ever recommend," she said. Pepsi (PEP) actually did better than United on this count, Reber said. "They quickly pulled the ad [and] they quickly acknowledged that ... they clearly missed the target," he said. Companies must have a game plan for when a crisis strikes, Jacobs said. She said she works with companies "all the time" to prepare press releases for any conceivable crisis. They may just sit on the shelf forever, but Jacobs says it's always better to be prepared than to risk scrambling to put something together in the heat of the moment. "Social media has completely changed the landscape, and that's why speed is so important. That's why we need clients to plan beforehand how they'll handle a specific situation, and they know what to say in the situation," she said. And while social media is a minefield, it's also an opportunity, said Rebecca Weintraub, a professor at the University of Southern California who studies corporate communication. "It's a way of pulsing what's going on in the world," she said. "It's really much less a useful broadcasting tool than it is a listening tool." Lee, of Agency 451, pointed to Jet Blue as an example of an airline with an excellent social media presence. "They're very responsive to customers about their experience. United needs to look at what they do," Lee said. PRWeek bashed Munoz's word choice in his initial statement on the incident. "The term 're-accommodate' smacked of legalese aimed at avoiding future litigation, rather than responding to what was a horrific video of a disturbing incident," PRWeek's Steve Barrett said in a blog post Tuesday. PRWeek criticized how United handled the incident after awarding Munoz its "Communicator of the Year" award just last month.